Increasingly, brides and grooms are spending their wedding dollars on environmentally friendly products and services. From the dress to the dinner, there are more green options available today than ever before. This book will teach the happy couple just how easy and affordable it is to: choose a stunning environmentally friendly location; create beautiful invitations printed on recycled paper; find the perfect eco-fashion; enjoy a gourmet organic caterer; find the right romantic honeymoon retreat, and more! This fun, informative guide provides all the steps to a beautiful wedding - without leaving a footprint! By K. Harrison "Author of The Green Bride Guide"
Wenona Napolitano did a very good job with this book. It is well researched and full of helpful lists including: edible flowers to use in your decor, pictures you want your photogrpher to take, and simple recipes and instructions for DIY favors. She also does a great job of providing the "why" of green weddings. 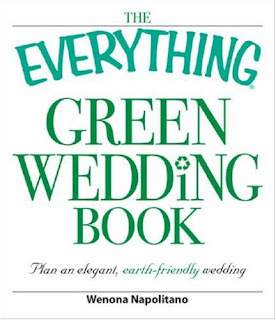 The book begins with ten reasons to have a green wedding and includes E Facts, E Alerts, and E Essential environmental tips throughout. 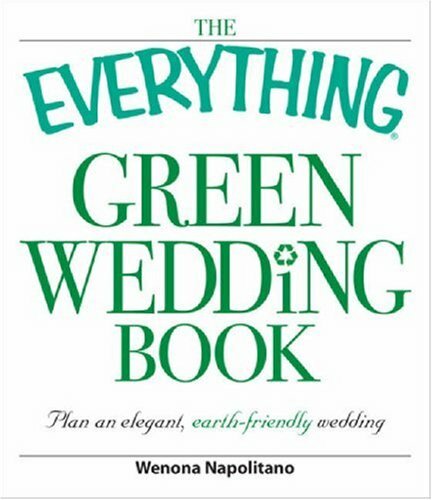 A great addition to your green wedding bookshelf.